Washington, Sep 7 (Just News): Secretary Michael R. Pompeo met today in Islamabad, Pakistan with Pakistani Prime Minister Imran Khan, and other civilian and military leadership. He was accompanied by Chairman of the Joint Chiefs of Staff Gen. Joseph F. Dunford, Jr.
Congratulating the Prime Minister on the formation of his government, the Secretary welcomed the further strengthening of civilian institutions. Secretary Pompeo also highlighted the importance of the U.S.-Pakistan relationship, and underscored areas of shared interest, such as the expansion of two-way trade and commercial ties. While meeting with Foreign Minister Shah Mehmood Qureshi, Secretary Pompeo discussed the potential for the United States and Pakistan to work together to advance joint priorities, including regional peace and stability. He also emphasized the value of strong people-to-people ties between our nations, built on decades of cultural and educational exchanges. During his meeting with Pakistani Chief of Army Staff General Qamar Bajwa, Secretary Pompeo welcomed the smooth transition of power to a new civilian government, stressing the importance of strong democratic institutions. Secretary Pompeo also expressed hope for deeper counter terrorism cooperation between our nations. 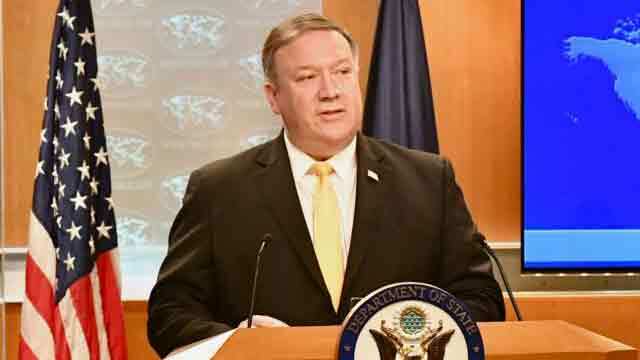 In all of his meetings, Secretary Pompeo emphasized the important role Pakistan could play in bringing about a negotiated peace in Afghanistan, and conveyed the need for Pakistan to take sustained and decisive measures against terrorists and militants threatening regional peace and stability.